After purchase, you can download the file from the “my account” page in the “Downloads” section when you are logged in. You will be able to download the file up to 3 times for 7 days after your purchase when paying by credit card, or after your check is received (you will receive an email when your order is complete and ready for download). 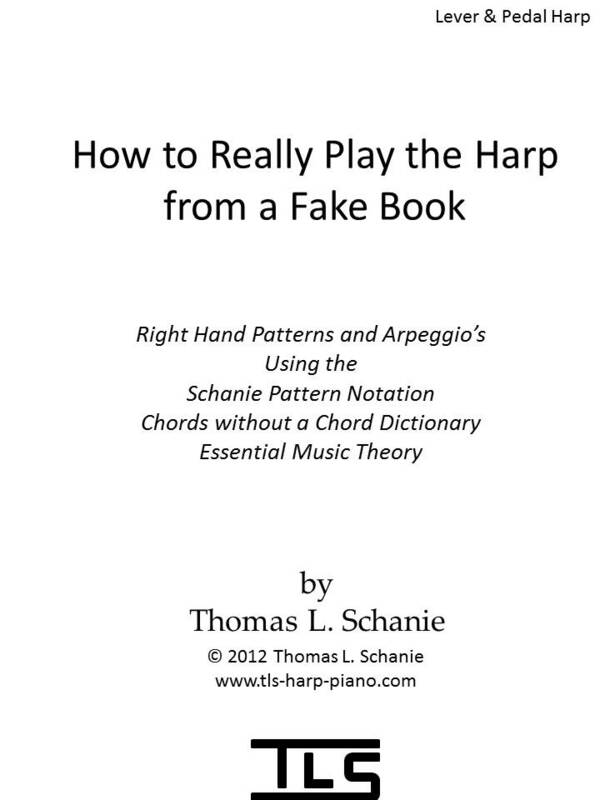 This 51 page book first teaches you the essential music theory that you need to know including the order of flats and sharps, key signatures, and how to play all the different types of chords without a chord dictionary. Then I teach you my eight Schanie Pattern Positions and my Schanie Pattern Notation that will have you playing chords with four fingers (three fingers and a thumb of course) in each hand without having to know all the notes in the chord! 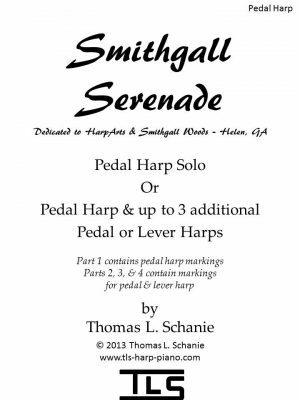 These Schanie Pattern Positions will also have you playing hand over hand arpeggios up and down the harp in any key with four fingers, again without having to know all the notes in the arpeggio! 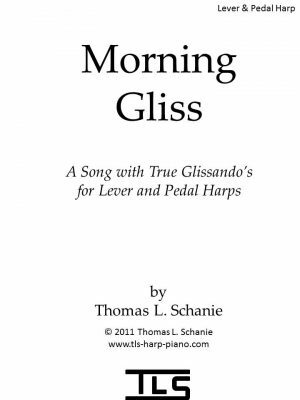 My Schanie Pattern Notation can also be used in advanced harp music, especially brook type songs, to simplify reading and memorization. 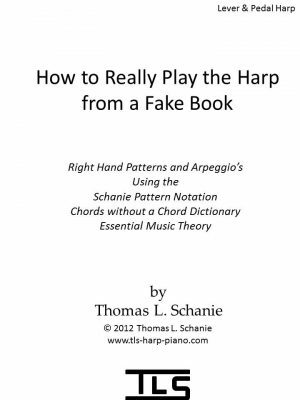 Then I teach you step by step how to play songs from a fake book using four fingers in the RIGHT HAND using my Schanie Pattern Positions. I give you the formulas to determine the Schanie Pattern Positions and take you through a complete working example so you will be able to easily do this with other songs. You will not find this information in any other book, and it is only available on my website.